Yum! Looks healthy and delish!! It is very much both: thank you Archana! Love your photos…love the colors. Wishing you all the best in the New Year. Thank you for bringing it along to Fiesta Friday and happy New Year! I love the sound of your salad! The combination of flavors and this time of the year, anything with cranberries of course 🙂 Happy New Year! I adore your blog and recipes. Happy New Year, please keep on posting! I appreciate that a lot, this is one of my labors of love and it’s great when other people can enjoy it. Thank you! Great looking salad! So fresh and colourful! BRAVO!!! 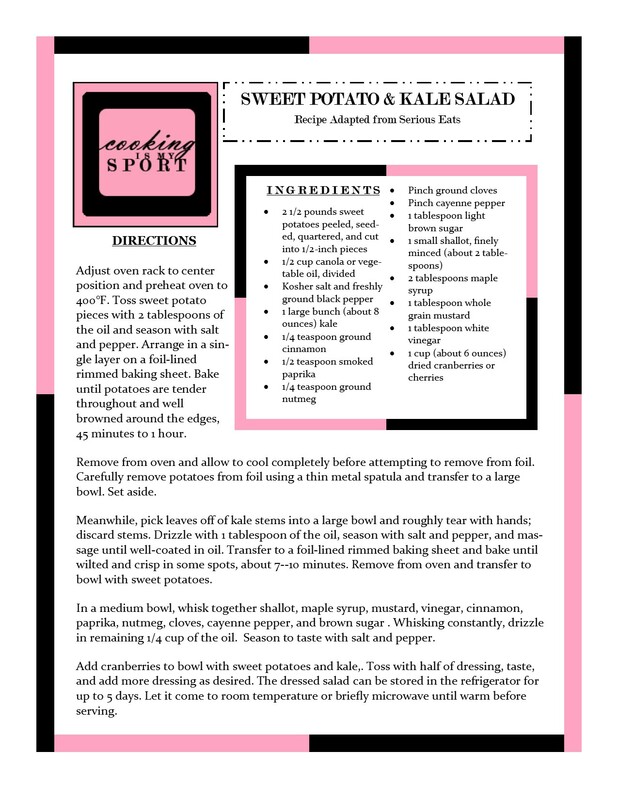 It’s so refreshing and light, but the sweet potatoes give it a hearty body that pairs great with the kale. I highly recommend; thank you! Looks yummy, will definitely be giving this a try! This is my kind of salad, hearty and full of flavor. I love the addition of the tart dried cranberries to add even more depth in flavor – yum! This looks absolutely amazing! You should check out my blog too!